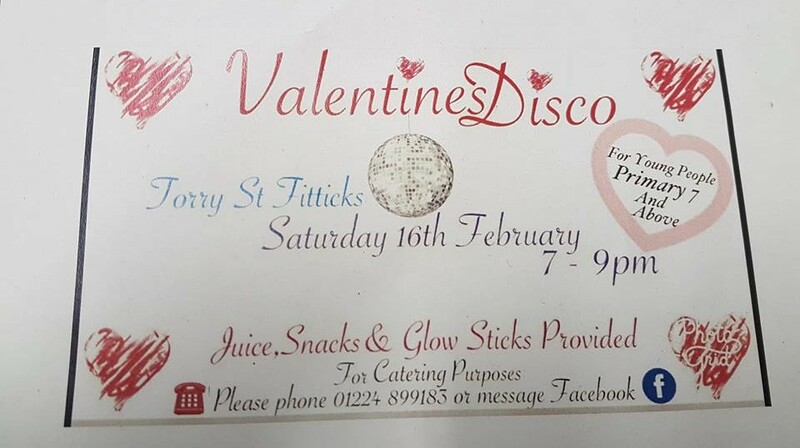 There is a Valentine’s Disco at Torry St Fittick’s for young people in Primary 7 and above. This will take place on Saturday 16th February from 19:00 – 21:00. Juice, snacks and glow sticks are provided. For further information and catering purposes, please telephone 01224 899183.